Huge Rise in Tax Season Phishing Attacks. As tax season makes its return, so does the increase in cyber crime and tax refund phishing that comes with it. Per the IRS, the 2016 tax season saw a 400% increase in phishing and malware incidents; and the trend doesn’t seem to be slowing down. Every year around this time, a sea of fraudulent emails is sent out to corporations and tax payers alike. Referencing topics such as tax refunds, IP pins, and missing information; these scam emails can collect user information, install malware, or worse. The success of these attacks come down to who the hackers target is within a company. They use a variety of tactics, including social listening to identify these security weaknesses. The ideal target for one of these attacks is a junior or newly hired professional, usually within the company’s HR department. These employees will be eager to please and wanting to make a good impression, meaning they are more easily breached. One of the most common tactics for tax refund phishing attacks is to send falsified emails from the company CEO asking for confidential information. These attacks take advantage of the new/junior employee’s eagerness to please and possible unwillingness to saying no to the boss. With scams getting more advanced each day, protecting personal and corporate information can seem daunting. The best way to defend against phishing and malware attacks is to follow three simple steps. 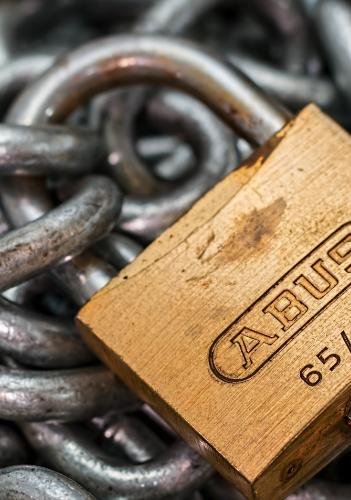 A chain is only as strong as its weakest link; and in email security that link is usually humans. Make sure employees are well educated and trained on how to identify phishing emails to reduce risk. Every 30 seconds a new phishing attack is launched; ensure your employees know how to detect and protect. Having a full stack security service to filter and protect your email, keeps the sea of phishing and malware away from your employees. Last year, human error accounted for 37% of security incidents, and caused millions of dollars in loss. The IRS doesn’t initiate contact with taxpayers by email, text message, or social media. Period. The official IRS website is www.irs.gov and any legitimate IRS webpage will begin with irs.gov. Don’t be fooled by close variations (such as irsgov, irs.net, or similar). If you do receive an email claiming to be from the IRS, and you weren’t expecting one, don’t reply, click on any links, or open any attachments. Forward the email as is to phishing@irs.gov and delete the original email. Email security requires an ever-evolving service that stays up to date with counter-evolving threats. Using our own research, The Email Laundry, helps to detect and filter malware, using real-time threat intelligence, dynamic malware analysis and automated threat response.